I am a very non-forgivving person when it comes to quality. I don't like flimsy things and I don't believe in wasting money. These chairs were perfect for the outdoor kitchen area and the price was very reasonable. The manufacture packaged the chairs with great care and there was no damage upon arrive. The chairs are very sturdy and the color in the picture is dead on accurate. I couldn't be happier! My wallet couldn't be happier either! 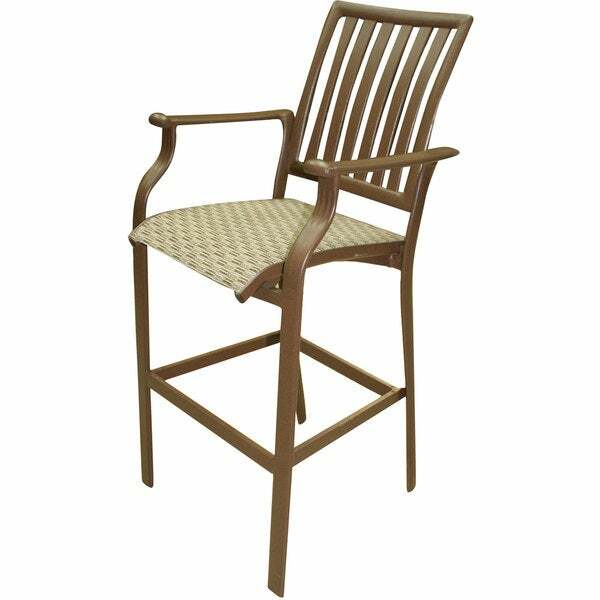 Relax in comfort and style in the Island Breeze stationary bar stool. Designed by Panama Jack, this stackable barstool incorporates a tubular extruded aluminum frame in a unique powder coated espresso finish that will not rust. Using an exclusive woven sling pattern, this stool eliminates the need for cushions. Hello dbrmama, the seat height for this bar stool is 21 inches high. Thank you for shopping with shopping with us!